Zimbabwe vs Australia is the 6th T20 match of the Tri-Series involving Pakistan. 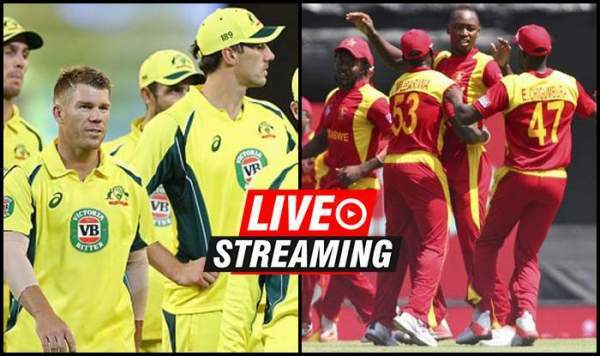 The live streaming and how to watch live cricket match today online will be provided on the page below. It’s to be played today, 6th July 2018, at Harare Sports Club in Harare. The host Zimbabwe national cricket team will play for its pride when it faces Australia on Friday. It is the last league game of the current T20I triangular cricket series on the Zimbabwean land. The host has all the first three matches which it played in this series. So far, Zimbabwean team has played two matches against Pakistan and one against Australia. Today’s game is its last chance to finish the tournament on a positive side with a victory. While, Australia will look forward to getting to its winning momentum after facing the first defeat yesterday, against Pakistan. For Aussies, it will their final chance to regain the lost confidence. In (ZIM vs AUS) last match, the Kangaroos turned victorious in a one-sided match. Led by Finch, the Aussies won by a huge margin of 100 runs. In that game, Australian skipper scored 172 runs off 76 balls and made his personal highest T20 score. The match will start at 1:30 pm IST and will be live streamed on SonyLIV and Hotstar. The live telecast/broadcast will also be available on Sony Six and Sony Six HD tv channels. Sony Networks is the official broadcaster for the series this year in the Indian subcontinent. Besides Sony, other sports television channels like Fox Sports, etc. will stream the match in real time in their respective countries/continents. Zimbabwe has won the toss and elected to bat first. The win for Australia will see it finishing at the top of the points table courtesy of the better run rate to Pakistan.